Jean-Gerard Bursztein is a French psychoanalyst who has a Doctorate in Philosophy. He teaches psychoanalysis and has been practicing in Paris since 1975. He was a student of Jean-Toussaint Desanti and worked on both philosophy of mathematics and philosophy of sciences. Jean-Gerard Bursztein will develop the Lacanian theory of the structure of the unconscious as cut and the Borromean knot with the concept of Lalangue, where Lalangue refers to the first mnemic traces, termed “Letters” by Lacan, which coat the signifiers of language with traces of lack of jouissance and trauma. In setting the context for this work, Bursztein reminds us that what Freud brought was so powerful and so strange that, after his death, psychoanalysis more or less disappeared. With Lacan something came to life again but it took his entire life to give a status to what Freud brought with the term, ‘unconscious’. What Lacan found that was both new and difficult was that the real references with which psychoanalysis could be defined are that of topology. This involves thinking topology without it being mathematics, as a making of models, but as a fundamental philosophy of space. In a project responding to the question of how to transmit psychoanalysis through the formalisation of its operative insights, Bursztein recuperates and builds on the force and originality of Freud and Lacan’s discoveries, reworking familiar psychoanalytical concepts from a topological perspective. Commencing with the concept of the unconscious in its coextensiveness to structure and to the cut, JGB deploys the opening and closing movement of the Mobius strip to afford representation to the otherwise opaque idea of the unconscious as a movement of opening and closing without a stop. Bursztein situates the idea of psychoanalysis as subjective topology as clearly present in Lacan’s thinking in 1972; notably in the text, L’etourditi (‘someone dizzy’, and literally, ‘turning speech’). This provides a new foundation for psychoanalysis in relation to what JGB terms ‘fundamental topology’ and a major step in the theorisation of psychoanalysis. On this precise point, topology is not a theory, it is a knowledge. The difference between these two concepts being that with a theory one can have some ideas about an issue without knowing what to do about it. Topology, then, is not a theory but a pure element of psychoanalytical knowledge; an achievement of knowledge. What Lacan was trying to articulate in L’etourdit has come to be stated more simply in terms of the difference between the signifier and jouissance, between lack and jouissance, and between the two, the passage, which is a cut. 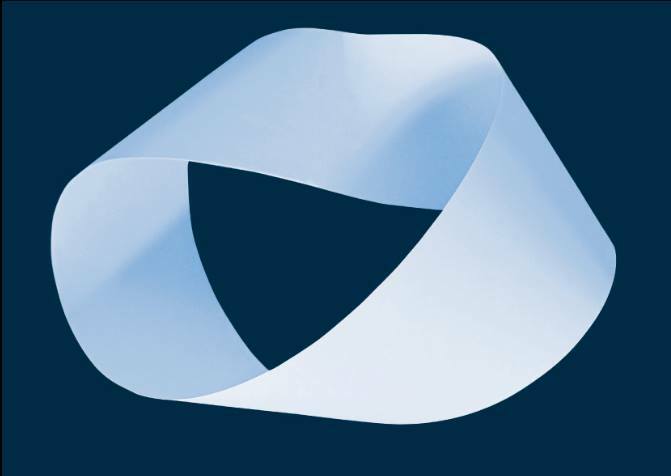 The Mobian structure is one of the main concepts of topology and the Moebius Strip is a space of representation of this structure. For Lacan, the Mobius strip offers an excellent way to illustrate the point, in that when open it is the cut. In closing, the cut is made to disappear and, along with it, the surface which sustained the cut. In stating the unconscious is not a being, Lacan stands with Aristotle as opposed to what philosophers call an ontology. Aristotle was the first to suspect that the cut is not a being but neither is it nothing. If the surface is opened completely it is no longer Mobian but homoeomorphic to what we can call a torus; or, for psychoanalytic purposes, a surface where there is a place for jouissance. Lacan emphasises that, and this Bursztein considers absolutely extraordinary, the only ontology we have in psychoanalysis is jouissance. Otherwise, what we have is not ontology but Henology. After being Heideggerian and then Cartesian, Lacan finally thought psychoanalysis in relation to Aristotle. René Thom also, at 40, suddenly returned to Aristotle, understanding that Aristotle what was saying was approximately the same as Thom had found in his own work in topology. Bursztein’s development extends to observing that Thom’s idea was in a completely different way the same idea as Lacan found. Antiquity’s concept, Mathesis Universalis, was the ideal of science and what Lacan tried to do and partially succeeded in has to do with this ‘Mathesis’. This relates not only with thinking or theory but with the kind of knowledge based on topology. It is important to emphasise topology and not mathematics or mathematisation. The matter for Lacan was not to understand but to know that psychoanalysis is the same as this elastic mathematics called topology. The unconscious, then, has to do with the pure thought of spatiality. The spatial as topology is a theory for mathematicians and a knowledge for psychoanalysts. The topology of the psychoanalyst is not the topology of the mathematician; to speak with a mathematician is not the same as to speak with a psychoanalyst. The psychoanalytic cure, itself an effort of formalisation of unconscious knowledge, arrives at a crystallisation wherein the fundamental fantasy strikes the subject as such, and becomes a part of their jouissance. The jouissance that Lacan called joui-sense means a knowledge of one’s situation in the structure. It is a topological knowledge. This knowledge construed through the work of the cure becomes a part of their jouissance, and this transformation of jouissance is precisely what makes it impossible to carry on as before. There is a stop. Bursztein, J-G, Topological Transformation of Freud’s Theory, Karnac Books, 2015.